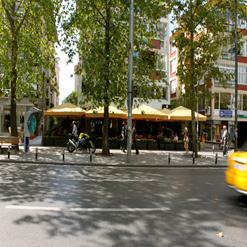 Caddebostan Beach is a free of charge beach located in Kadikoy. It has been opened again to the public after being closed for almost 40 years. This beach offers sun stretchers, toilets, showers, changing rooms, kiosks selling meals as well as lifeguards for visitors' safety. The beach gets heavily crowded with people during holidays.